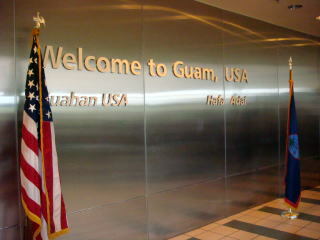 between Guam and the United States, Asia, Australia and various islands in the Pacific region. 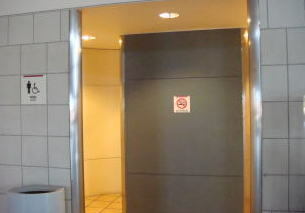 (L) No smoking sign plate at the entrance of toilet. 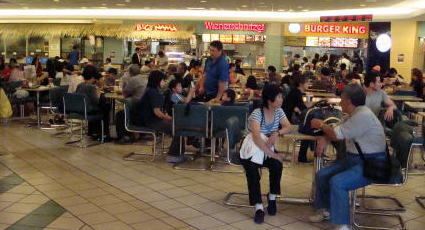 (R) A food court in the Guam Airport. 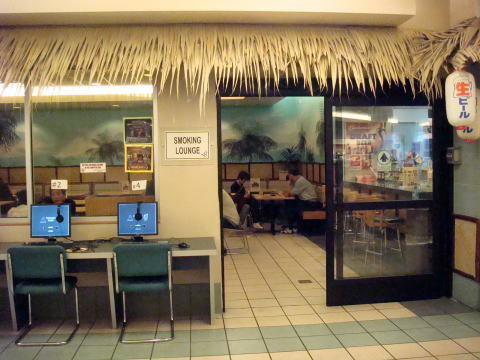 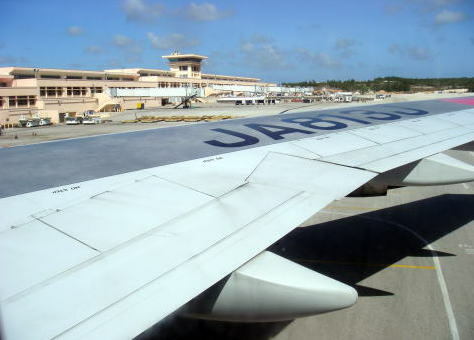 (L) The entrance door of the smoking lounge is kept open in the Guam Airport. 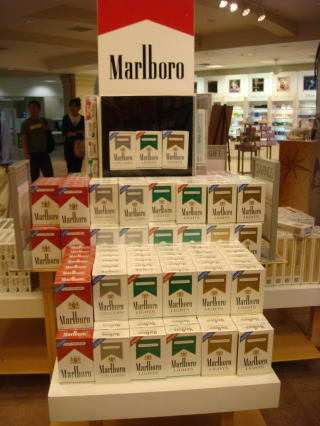 (R) No wall barrier between the smoking lounge and airport lobby. 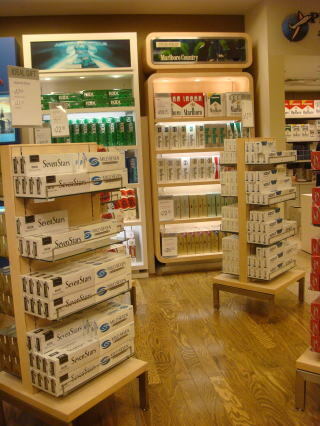 We can see the inside wall of smoking lounge through the shop counter in the airport lobby. 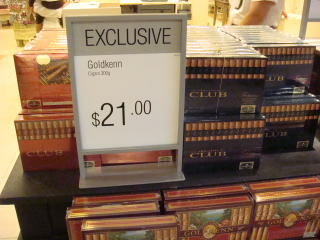 Tax free cigarette sales at the Guam Airport. 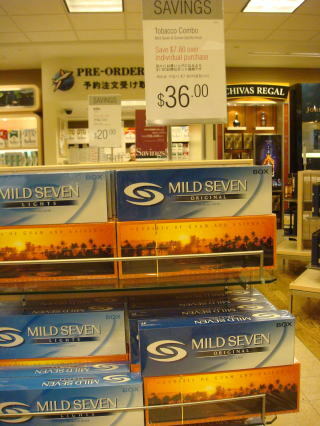 (L) A tax free cigarette sale in the Guam Airport. 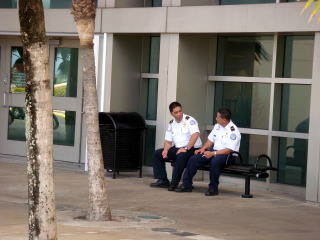 (R) A smoking break of police officers at the area outside Guam Airport. 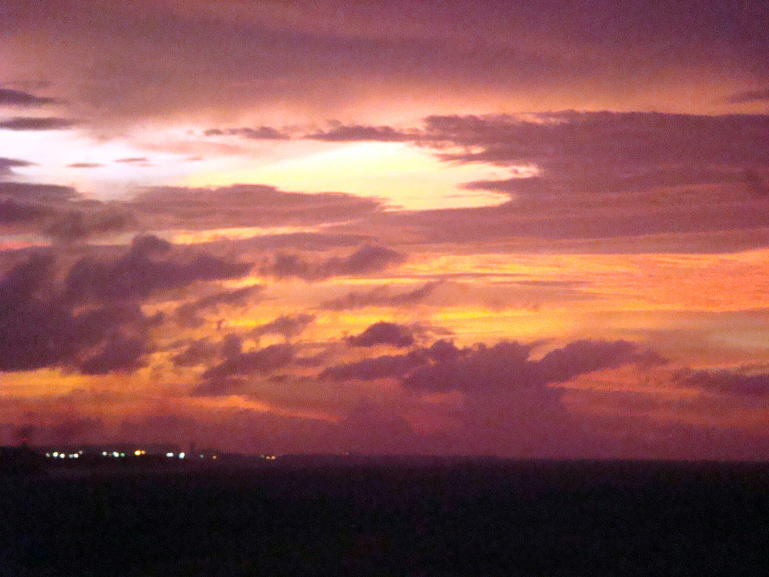 Sunset in the island of Guam. 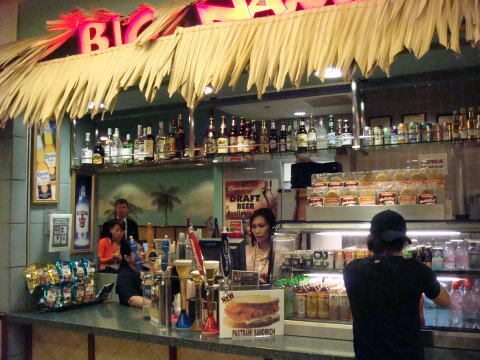 Photographed in January 2008, from the Sheraton Laguna Guam Resort.